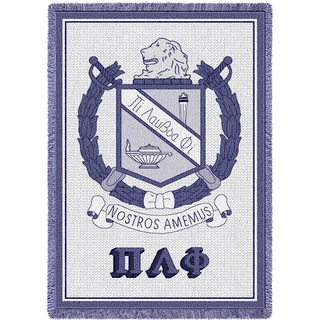 Founded on the basis of inclusion and progressive-thinking, chapters of Pi Lambda Phi can be found throughout the United States and Canada. 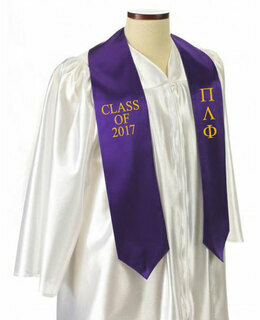 The fraternity was founded in 1895 at Yale University and continues to enjoy expanding membership numbers. 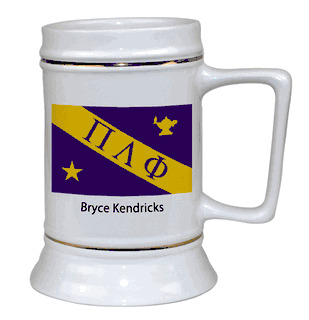 Celebrate the brotherhood by ordering purple and gold gear and gifts that are made just for the honorable men of Pi Lambda Phi. 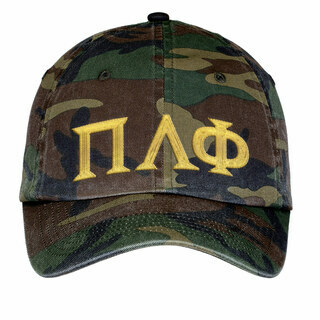 Greek Gear carries a large selection of PLP merchandise to choose from including apparel, gifts, flags, drink ware and more. 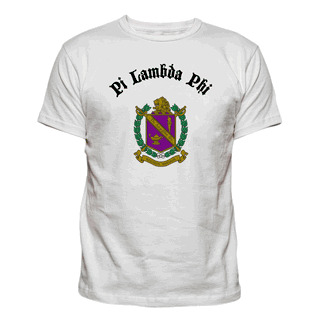 Pi Lambda Phi clothing makes it easy for others to recognize your fraternal affiliation when you're on campus. 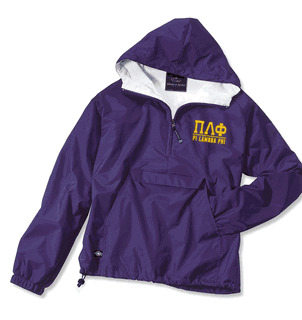 Whether you prefer a simple Greek T-shirt or a dressier Greek Letter Oxford, Greek Gear has you covered. Our Greek clothing selection makes it easy for any proud PLP brother to adorn himself in the colors and letters of his favorite fraternity. In addition to apparel, we also carry a number of novelties and gifts. 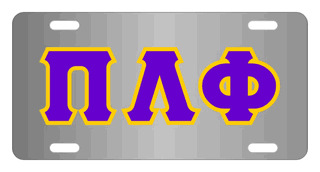 From license plate covers to lavalieres and beyond, our Pi Lambda Phi selection is hard to beat. Need your goods in a hurry? No problem. Just choose your desired timeframe from the "How Fast Do You need It" drop-down menu and we'll get to work right away to make sure your order arrives on time. 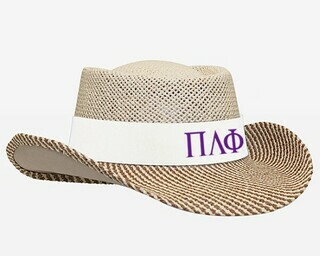 Pi Lambda PhiThe Greatest Selection. Period.